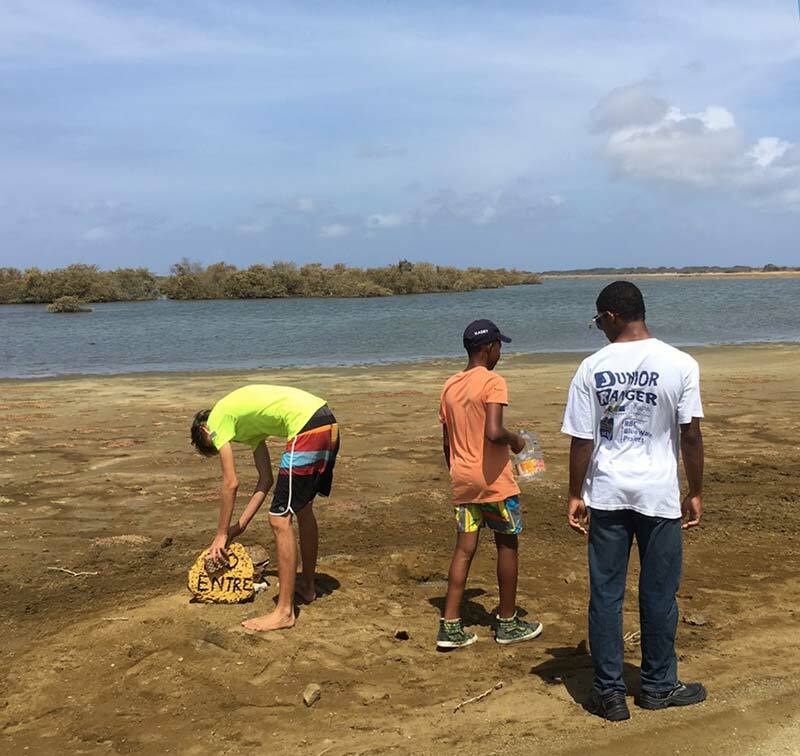 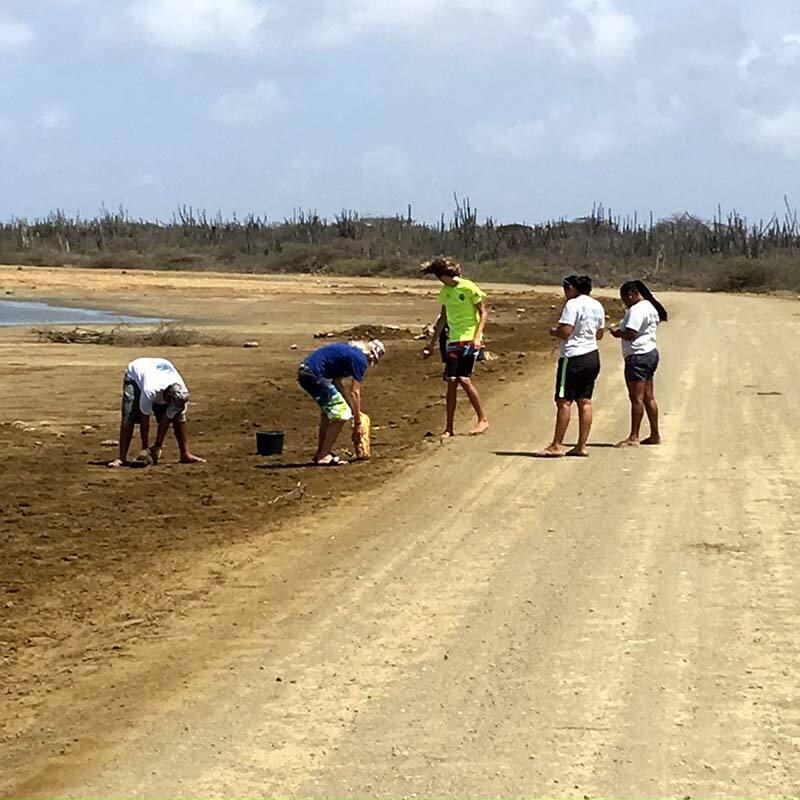 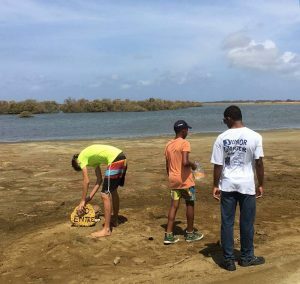 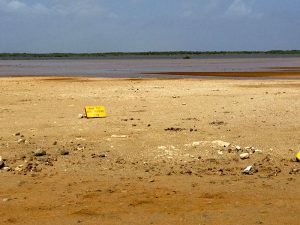 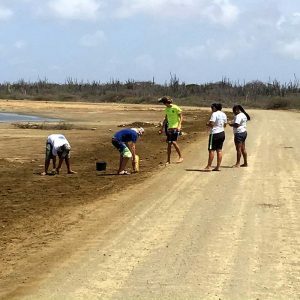 On Saturday, May 14th, 2016, the crew from The Mangrove Info Center, along with the STINAPA Junior Rangers, cleaned and repositioned “Do Not Enter” stones in the mangrove area of Lac Bay. 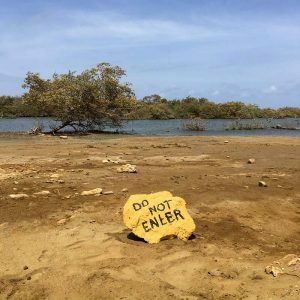 These yellow marker stones were placed in the past to alert people not to drive or walk to the waterline of the mangroves. Because some of the fresh water sources are close to shore, the flamingos might be closer than normal. 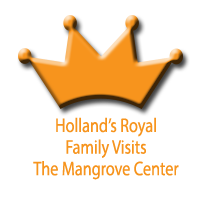 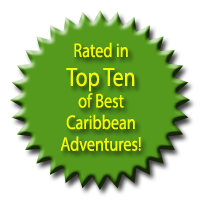 They are easily frightened and can actually relocate to another location if constantly harassed. 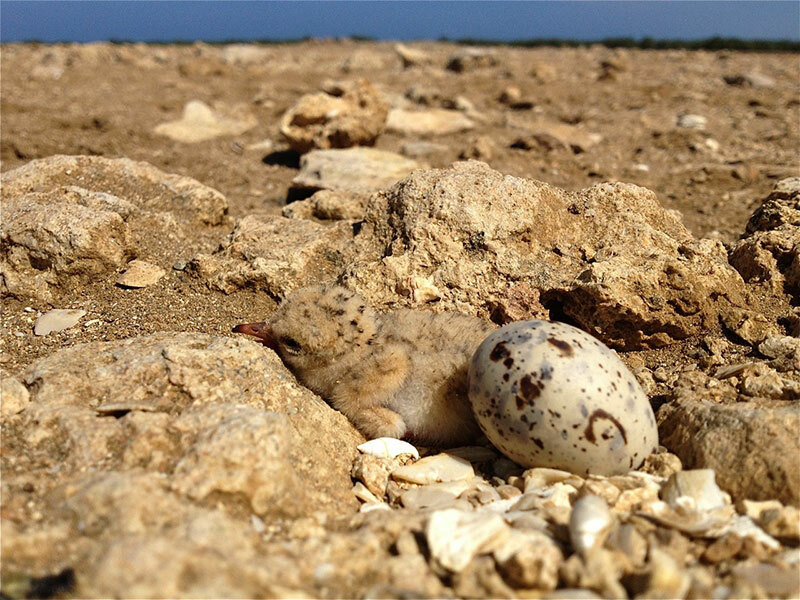 Additionally, during the nesting seasons for the local seabirds, many nests can be found on the ground. 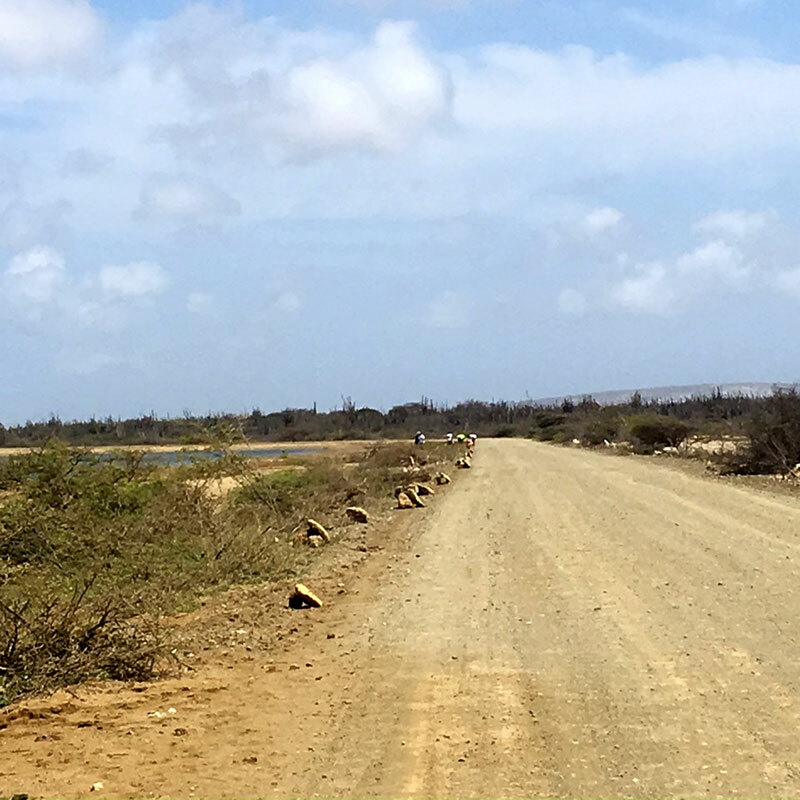 They are very camouflaged, and won’t be easily visible, but cars driving over the nests will crush the eggs. 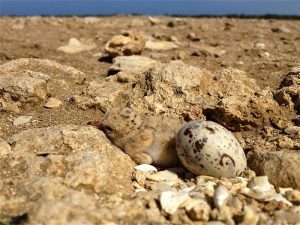 The Least Tern does nest on flat surfaces, such as the ground, and if disturbed by people, the eggs will break. 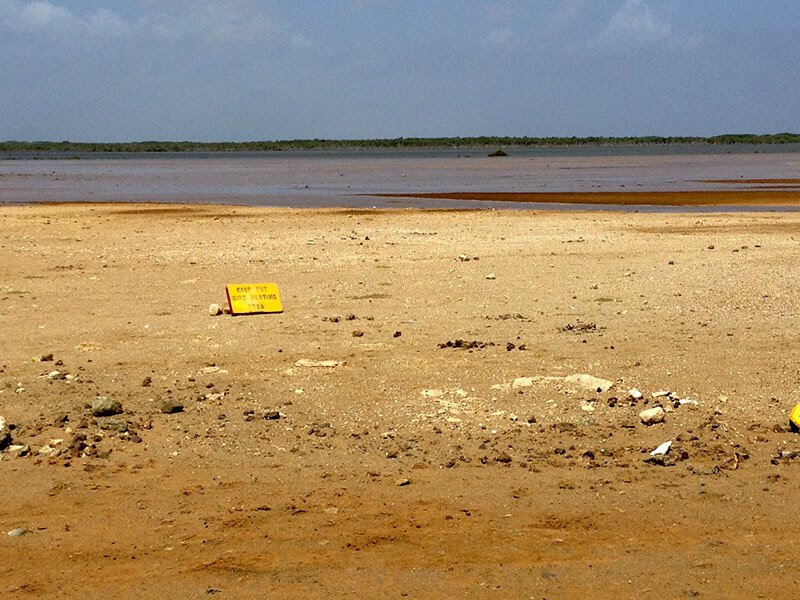 Or, if the parent is frightened away by visitors, the eggs can actually cook in Bonaire’s heat. 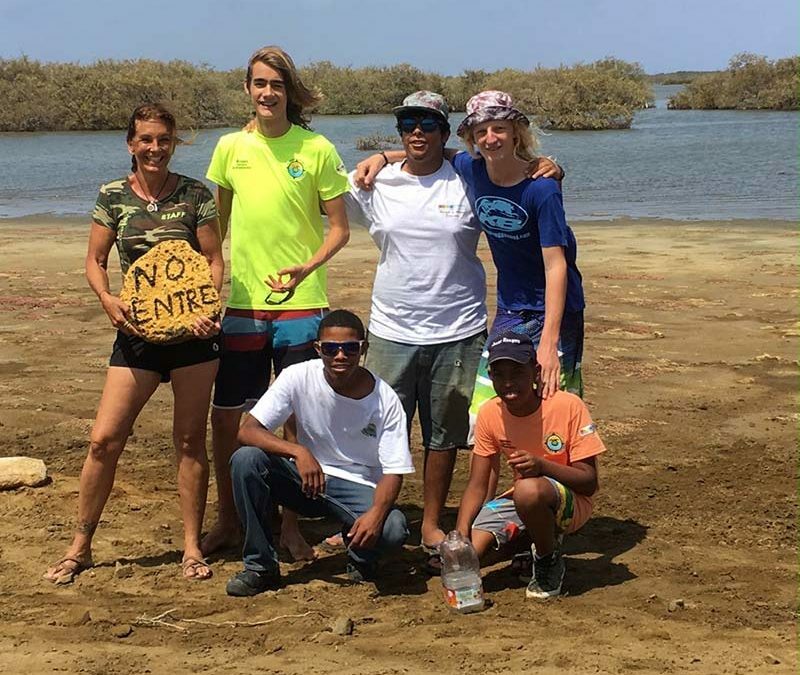 The Mangrove Center asks all visitors and locals to respect the Do Not Enter areas and help keep Bonaire’s nature secure.